For a Lauderdale Lakes Accident Attorney, that you can rely on during your accident call Robert E. Gluck at your earliest convenience. If you were in an accident such as an automobile accident, a slip and fall incident, a fall on someone's property, or hurt from using a defective product call your accident attorney right away. 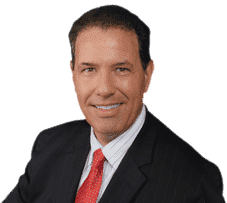 Robert E. Gluck became a lawyer in 1989, and has since then assisted countless of clients with cases similar to yours in nature. You will be at a great advantage with an attorney such as Robert E. Gluck on your side. He will serve as a powerful representation on your behalf! Your Lauderdale Lakes Accident Attorney, Robert E. Gluck will have to provide evidence of negligence before he is able to launch a full investigation into your case. Negligence happens when a reasonable person fails to follow a standard level of care, and it results in injuries to someone else. The guilty party will be held accountable for your injuries, and will have to pay for your medical expenses. Robert E. Gluck will work hard to maximize your settlement, and get all of your expenses paid for. With an attorney such as Robert E. Gluck as your attorney, you will feel more confident and less stressed about your case. Hiring a Lauderdale Lakes Accident Attorney like Robert E. Gluck will much more likely have a positive outcome. Studies indicate when an injured person is legally represented there is a significant increase in possibly winning the case. Robert E. Gluck will work hard to put together a powerful case on your behalf. He will guide you every step of the way, and make certain you are treated fairly at all times. He will answer all of your questions, and explain every phase of the process to you. Your Lauderdale Lakes Accident Attorney, Robert E. Gluck will visit the scene of the accident and look for property damage. He will take pictures of the accident scene, and secure video footage. Robert E. Gluck will speak to your witnesses and obtain their witness statements. He will gather all of the evidence that he can find and build you a powerful case. Robert E. Gluck will work hard to get you the highest settlement possible! If you need immediate assistance from a lawyer that you can reach 24 hours a day, 7 days a week, call the Law Office of Robert E Gluck, P.A. right now. All of Robert’s clients receive his cell phone number so that they can reach him when they need him. Call or Contact our office with any questions you may have now at 954.583.8999.